Bharti Airtel has introduced a new Home broadband plan offering up to 300 Mbps speeds. This is the fastest broadband plan Airtel has to offer until now. This new FTTH (Fiber-To-the-Home) based plan comes at a monthly rental of Rs 2199 and offers 1200GB of high-speed data along with unlimited STD/Local calling benefits. Furthermore, customers opting for this plan also get a free subscription to Airtel’s OTT apps- Wynk Music and Airtel TV. Airtel’s Wynk Music has over three million songs while Airtel TV offers more than 350 Live TV channels as well as 10,000 movies and TV shows. Airtel is one of the largest broadband players in the Indian market, and this plan will surely attract more users to join the network. But the price of the plan is on the steeper side, and the data limit is 1200GB, which is more than enough for a home broadband users, but unlimited data would have been a better deal. The price of the newly launched 300 Mbps plan depends on the circle. In Hyderabad, the same plan costs Rs 2199 with taxes extra. Currently, Airtel is offering Home broadband and fixed line services in 89 cities across India. It is the second largest fixed broadband services provider in the country. What separates Airtel broadband when compared to other players in the data rollover option. Airtel has introduced the Data Rollover scheme last year, allowing users to carry forward unused data from current billing cycle to next billing cycle. So if a customer left with 100GB of unused data this month, the same amount of data would be added to their account in the next billing cycle. This is one of the best features introduced by Airtel in recent times for the broadband users. None of the major Internet Service Providers (ISP) is offering the data rollover scheme, except YOU Broadband and Spectra broadband. There are some other schemes from Airtel such as Airtel Surprise and myHome Rewards that rewards users with free monthly data. Airtel says that such innovations are keeping users engaged all the time. Airtel is also offering up to 1000GB of free data and Amazon Prime Subscription as well. Airtel , good on publicity and network getting worst day by day. Specially network goes doing when every you needs…most worst think is data is on 4G and calling on 3G. Also airtel good in discrismination . I wanna know from airtel why not all hendset gets VOLT in MUMBAI? 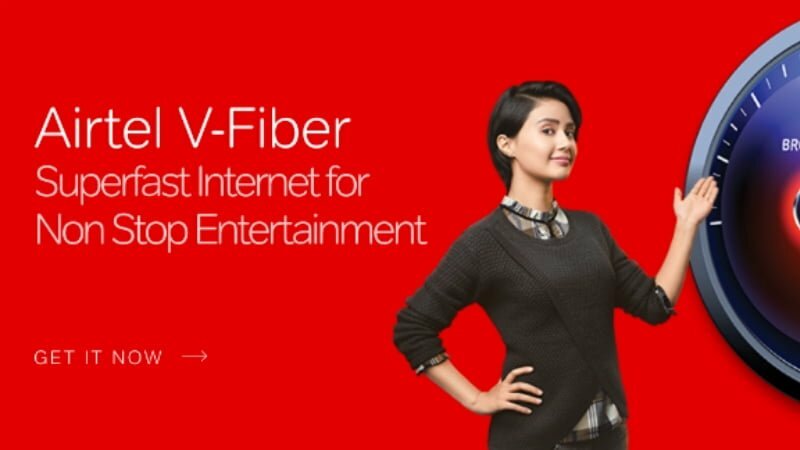 Jiofiber is 1000Mbps that too free who will get this crappy airtel broadband which stays disconnected most of the time. Also speeds are not even 20% of what they say.